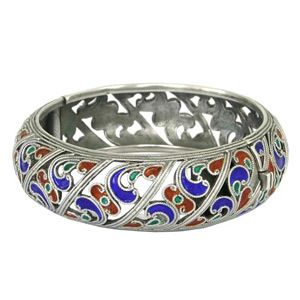 The jewelry artisans of Thailand handcraft this extraordinary bangle from sterling silver. 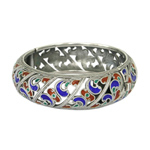 Inspired by the beauty of nature, the artisans carve a swirling vegetal garden on the bangle and fill the details with colorful enamel. 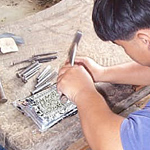 Fastens with a box clasp.